The press is supplied with 10 NDG-L carts. The machine is stored in our warehouse. 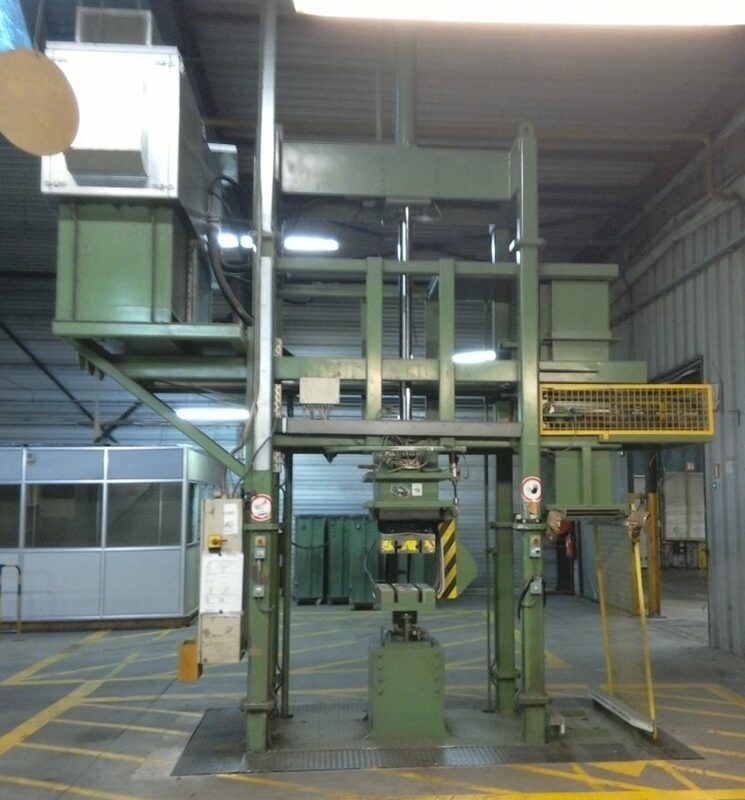 This hydraulic baling press is designed especially for baling small bales of used clothing, with dimensions that fit perfectly in maritime containers. The press is partly situated in a pit. 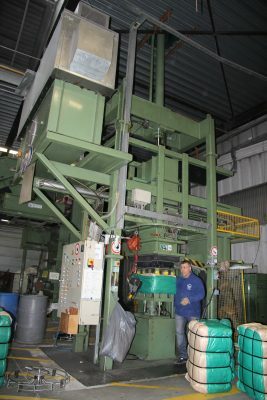 It is a high-speed press with feeding through NDG carts that are emptied automatically in the press and it can be operated by 1 or 2 operators. 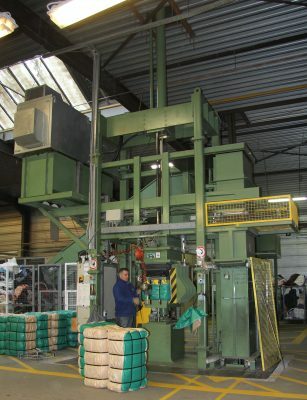 A capacity of up to 30 bales/ hour can be achieved.